From the history of the SIUE cougar mascot to digitized versions of videos produced in the ’60s and ’70s, the Louisa H. Bowen University Archives and Special Collections is a treasure trove of history and interesting information. Did you attend the Mississippi River Festival? Explore a narrated historical slideshow, a virtual history museum and a name index of all MRF artists. Today, the Alumni Association serves nearly 100,000 alumni who live in the United States and in countries throughout the world. 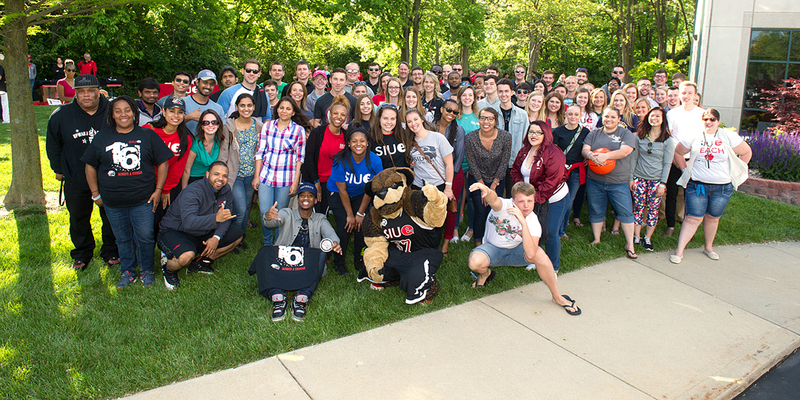 In February 2013, the year the Alumni Association celebrated its 40th anniversary, the Association transitioned to an all inclusive, non-dues paying model, automatically welcoming every SIUE graduate into Association membership. Alumni Association events have taken place on campus and across the globe. The Office of Alumni Affairs is located in Birger Hall at 30 N. Circle Drive.